Things are a bit different at Augusta National on this Masters Tuesday. For starters, Phil Mickelson and Tiger Woods are playing a practice round together. 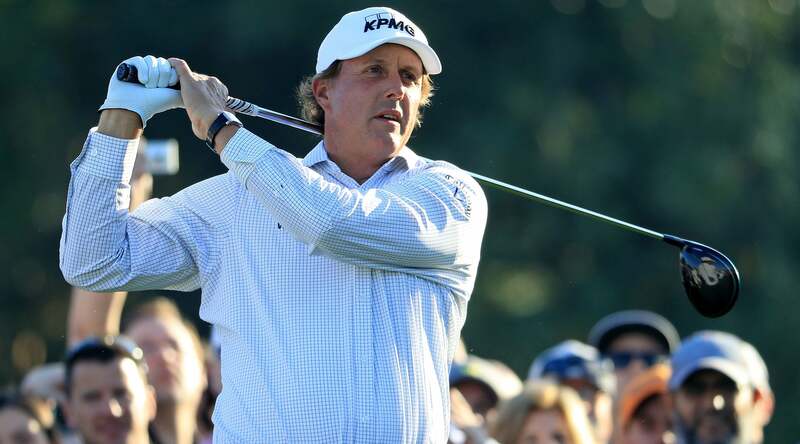 Secondly, Mickelson is wearing a button-down long-sleeve shirt that is better suited for an accountant than a golfer. When Mickelson and Woods arrived on the 10th tee early Tuesday morning, one couldn't help but notice Mickelson's attire. The lightly-checked top is a different look. With coffee mug in hand and the sun pushing dew off the course, Mickelson looked like he was in his way to office, not Amen Corner. See for yourself below.